Friction Facts For Kids | Cool Kid Facts . 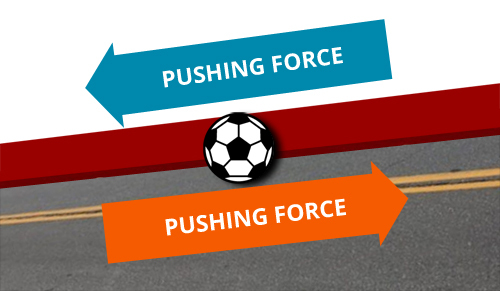 Friction is a force that restricts or stops the movement of two solid objects sliding along each other. The force of friction acts in the opposite direction in which the objects wants to move. When objects rub against each other, they cause friction where they touch. It is a strange phenomenon that two rough surfaces can have so much friction that they stick together (for example two pieces of sandpaper), while two very smooth and polished surfaces can also stick together (for example, two pieces of highly polished and clean glass). Scientists have tried to make up rules for friction but for every rule, they have found exceptions. What they have determined is that there are two types of friction – static and kinetic. 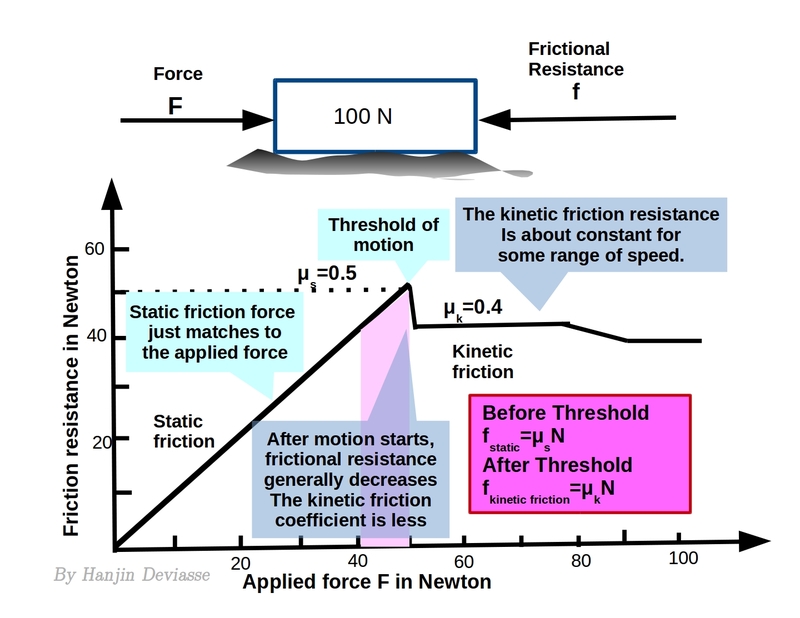 We find static friction when two objects are not moving and kinetic friction operates between two objects that are moving. There is another kind and that is rolling friction. This only allows two objects to move more freely. There is friction in liquids as well. Friction operates between the layers of a liquid. 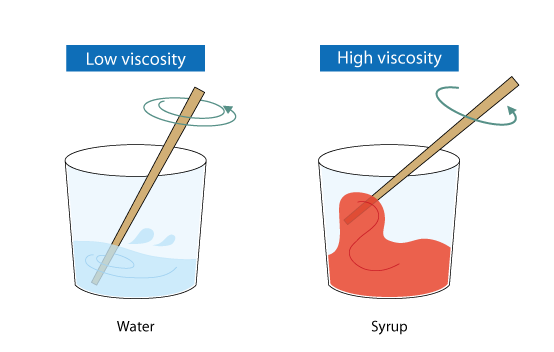 This is called viscosity – the more viscosity, the thicker the liquid. For example, honey is more viscous than water; oil is more viscous than milk. If you are running and want to stop, the friction between the soles of your shoes and the pavement allows you to stop. But if you try to stop as you hit a puddle, you will slide because the water on the pavement lessens the friction by making the two surfaces smoother. Have you ever heard of a car ‘hydroplaning’? This is friction being reduced by water or any liquid on the road. 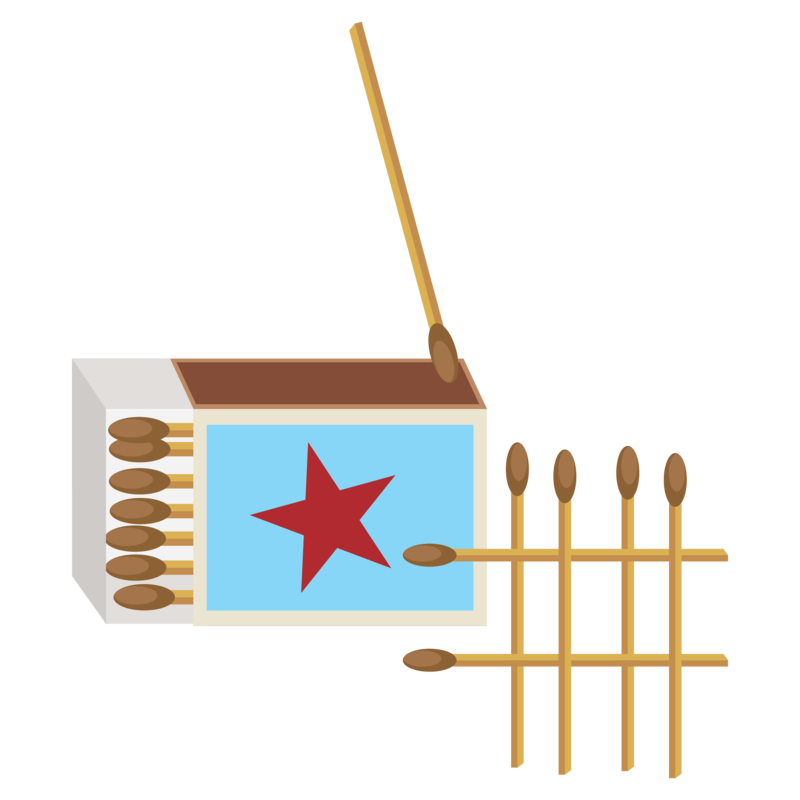 The use of logs and the invention of the wheel was one of the ways man tried to reduce friction and make an object move easier. Friction can also cause heat. If you rub your hand back and forth quickly on the carpet, you will feel the heat caused by friction. The force of friction can also cause objects to wear down or wear out. If you constantly use the brakes of a car, eventually the brakes will fail because the material on the brake drums has been worn away resulting in metal touching metal. This can result in a screeching sound. Friction can be reduced in moving parts of any machine. A lubricant, such as oil or grease, is used to stop gears and other moving parts from wearing out and stop moving altogether. This is why wheels are packed with grease and why oil is used in car cylinders. How much force is needed to beat friction? Scientists have developed a formula to determine the amount of force needed to overcome friction. This is called the ‘coefficient of friction’ and is written as μ = F/L (μ is a Greek symbol used for the coefficient of friction, F stands for the force needed to move an object, and L stands for the load or weight of the object being moved). 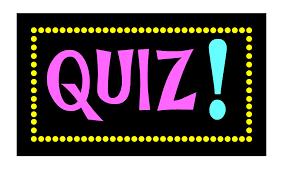 Now it’s time to test your knowledge with our fabulous friction quiz! What two things have to exist to cause friction between two objects? What are three kinds of friction? What can be used to reduce the friction between 2 metals? Give an example of how can water be a lubricant. 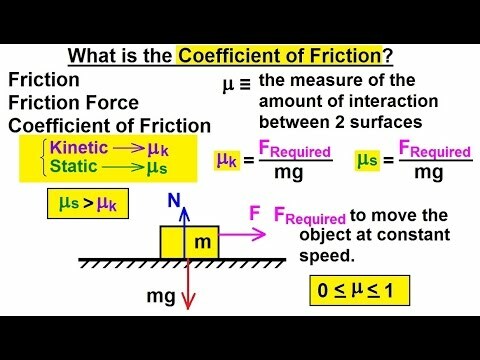 What is the ‘coefficient of friction’? The two moving objects must touch each other and be moving in opposite directions. Two kinds of friction are static and kinetic and rolling. A lubricant will reduce the friction between 2 metals. If you skid across some water on the pavement, the water is a lubricant that lessens friction. It is a formula used to find the force needed to overcome friction.